There were eight announcements over the weekend and it proved to be similarly quiet for other gaming news too. Here are the handful of headlines that you may have missed if you weren't paying close attention. Having met their funding goal and confirmed a release for consoles last month, inXile has released a trailer and some new screens for post-apocalyptic sequel, Wasteland 3. On the heels of its critically-successful predecessor, this turn-based RPG strikes out into the new land of icy, post-apocalyptic Colorado. With new features, the game hopes to be better than ever before. 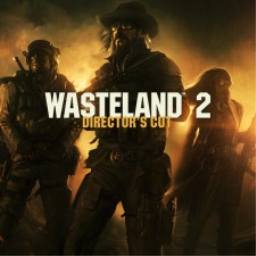 The first Wasteland game with trophies was Wasteland 2: Director's Cut, which was developed and published by inXile Entertainment and released on 16 October 2015. The next Wasteland game scheduled for release is Wasteland 3 for PlayStation 4, which has a release window of 2019.